"Progress is impossible without change, and those who cannot change their minds cannot change anything,"
Alexander the Great has quoted, "I am not afraid of an army of lions led by a sheep but am afraid of a lion leading those sheep", it has been made true for Tripada Parivar with a legacy of five decades constant growth and progress. It is always said ability is nothing without opportunity. 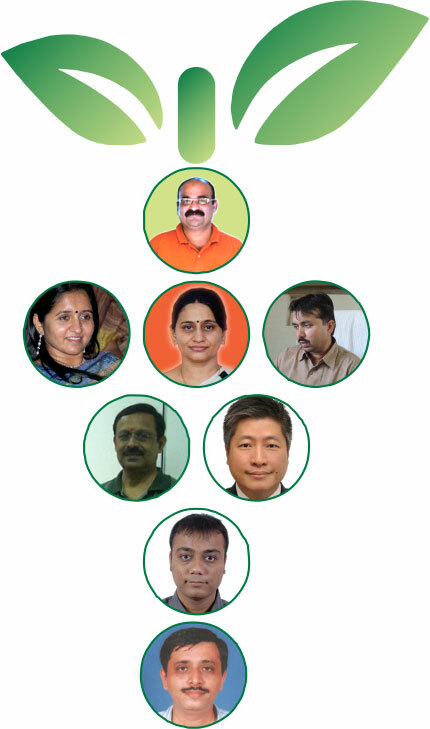 The young and dynamic team of Tripada has made it a habit in all diverse situations. As experience is the best teacher so is the fact of our constant growth. A foundation stone was laid in 1968 by a young man, who was merely able to understand entrepreneurship, he planted a seed in next generation and that gave rise to a edupreneurial organization called Tripada Multicourse Pvt. Ltd. He was fortunate to have a team of selected few who supported him in his finance and helped the organization establish its roots outside the land of origin. We the Tripada Parivar are committed towards the betterment of tomorrow's nation helping bridge through the competencies. Religious, Principled, Enlightened and well oriented.